for someone you love - or for you! What better gift than a meaningful, beautiful treasure that encourages spending quality time with children? 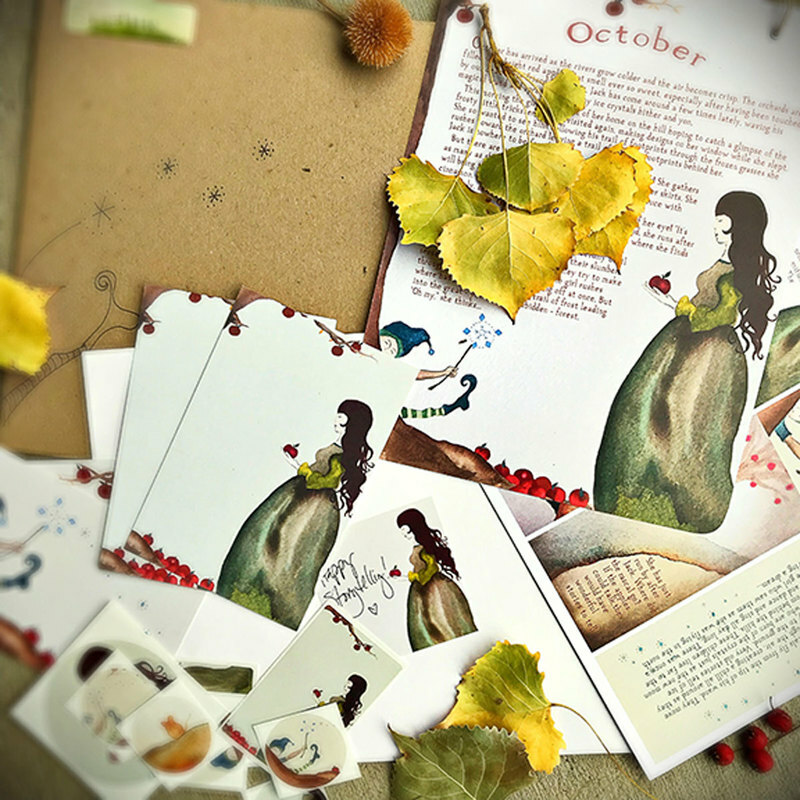 Each month comes with a new story-starter set including an original story and original watercolor art by Marna Widom. Receive some magic for one year on the equinox and solstice months March, June, September and December. ​You will be charged $23 ($28 international)every three months from the time you make your purchase - four times total. Give the gift of three months of magic in the mail. You will be charged $23 ($28 international) each month for three months. Three months of Postcards and Stickers in the mail. $8 month for three months. 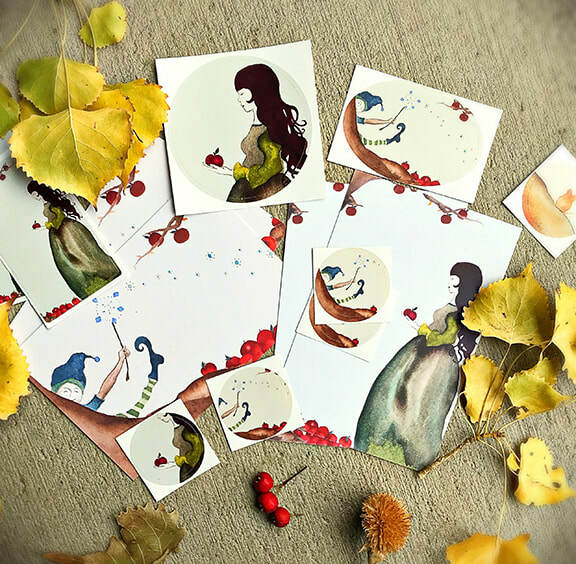 Included are four postcards (2 each of 2 designs) and 9 stickers of varying shapes, sizes and designs.